For the first time, scientists have grown human lungs in a lab, an advance in regenerative medicine that aims to address the problem of organ donor shortage. Growing organs may seem like science fiction, but it is the goal of medical researchers because so many people need organ transplants and many die waiting for one, scientists said. "The most exciting part is to shorten the time people have to wait for an organ transplant," said Dr Joaquin Cortiella from the University of Texas Medical Branch (UTMB). 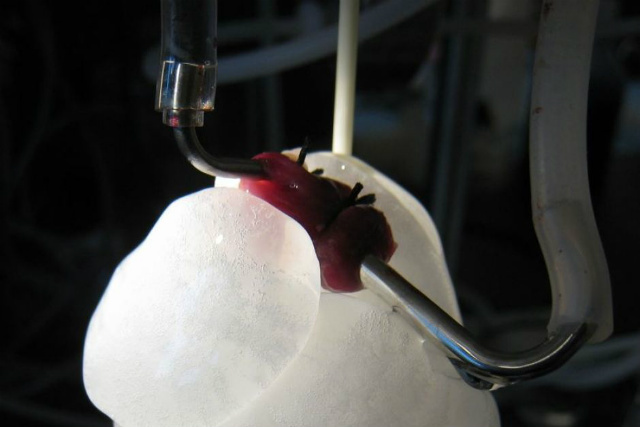 Researchers at UTMB used a damaged lung and removed the cells and materials until only the skeleton or scaffold of the organ was left. Then they added back cells from another lung that couldn't be used for transplant but still had some viable cells in it. They immersed the structure in a large chamber filled with a liquid that provided nutrients for the cells to grow. After about four weeks, an engineered human lung emerged, 'CNN' reported. The lab-made lungs look very much like the real thing, just pinker, softer and less dense, said Joan Nichols, a researcher at UTMB. Nichols said she thinks it will be another 12 years or so until they will be ready to try using these lungs for transplants. Before researchers experiment on humans, they'll try out lab-made lungs on pigs, she said.